By the time she reached Singapore, Nellie Bly was half-way round the world and at the southernmost tip of her journey. Arriving at dark the night before, it was too risky to dock. The P & O Oriental was forced to anchor in the harbour, much to Nellie’s frustration. “The sooner we got in, the sooner we could leave, and every hour lost meant so much to me,” she wrote. 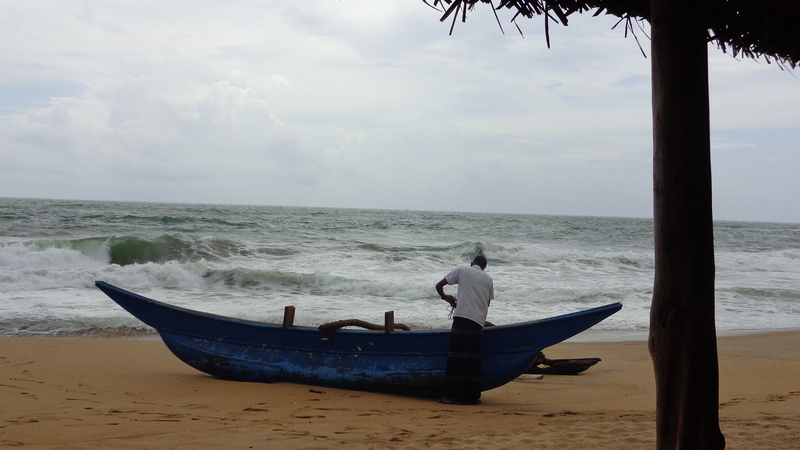 Nellie didn’t buy a monkey from the peddlers in little boats; but from the family of her driver. 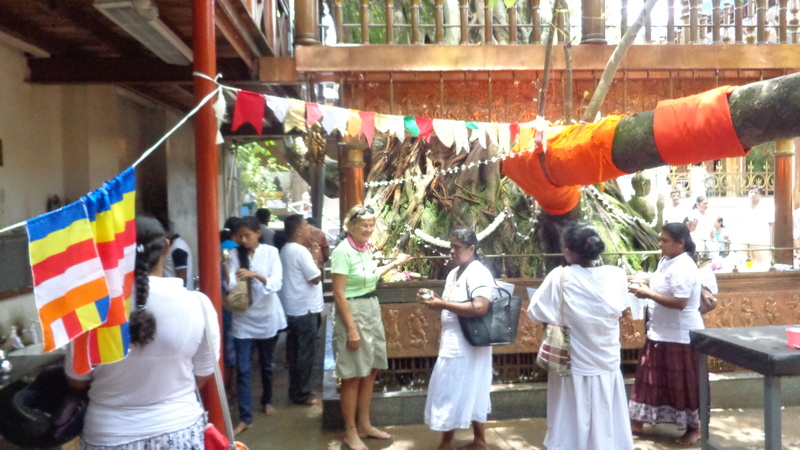 “When I saw the monkey my willpower melted and I began straight away to bargain for it. I got it,” she wrote. That monkey travelled around the rest of the world with her. He was called McGinty and became one of the icons of her world voyage. It’s illegal to buy monkeys in Singapore today. Nellie noted the shophouses in Singapore “where families seem to occupy the second story, the lower being devoted to business purposes.’’ Today those shophouses are hot properties hosting chic hotels, restaurants and boutiques. 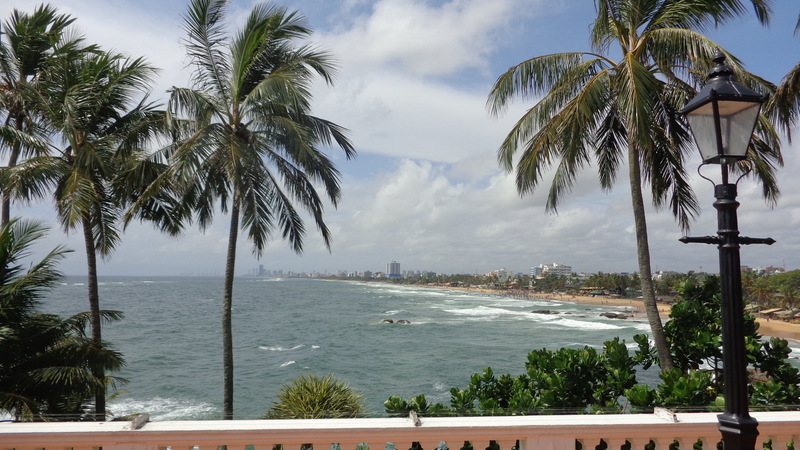 I stayed in a renovated shophouse in Chinatown – a former pawn shop – now the Adler Hostel. 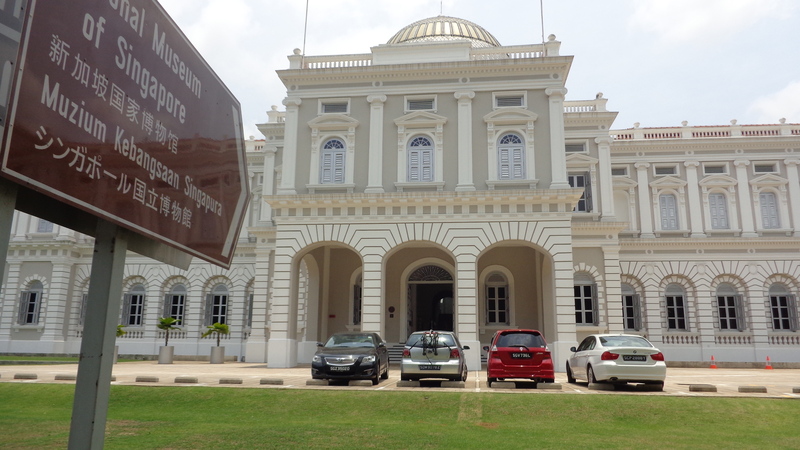 In her one day in Singapore, she visited the Raffles Museum, now the recently restored and very impressive National Museum standing today as it did in Nellie’s time. Nellie described it as “most interesting.” I visited it too and found Yeo Li Li to ask for help in tracing a Hindu temple that refused Nellie’s entry. I spent the afternoon temple-hopping in Singapore’s Little India only to discover that this temple that served the dhobies – those who made their living doing laundry in the nearby Stamford Canal — was now the site of Dhoby-Ghaut metro station. 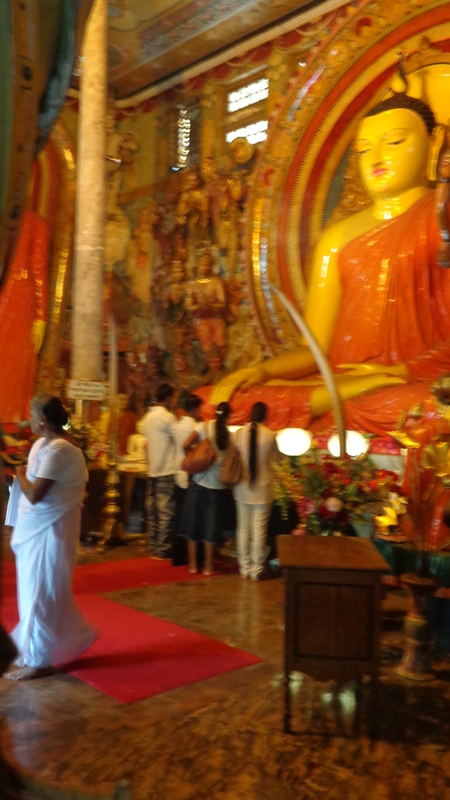 No worshipping here – hundreds of thousands of people pour in and out on pilgrimages to the area’s colossal shopping malls. That will teach them for excluding Nellie Bly. 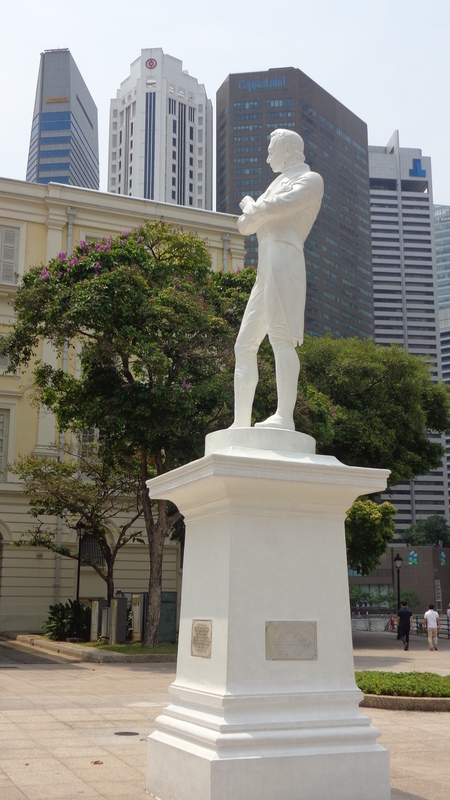 “On this historic site Sir Thomas Stamford Raffles first landed in Singapore on 28th January 1819 and with genius and perception changed the destiny of Singapore from an obscure fishing village to a great seaport and modern metropolis.” The statue was sculpted in bronze by Thomas Woolner in 1887 – two years before Nellie’s arrival. Around him soar some of the world’s tallest skyscrapers in the ultra-contemporary metropolis that is Singapore today. 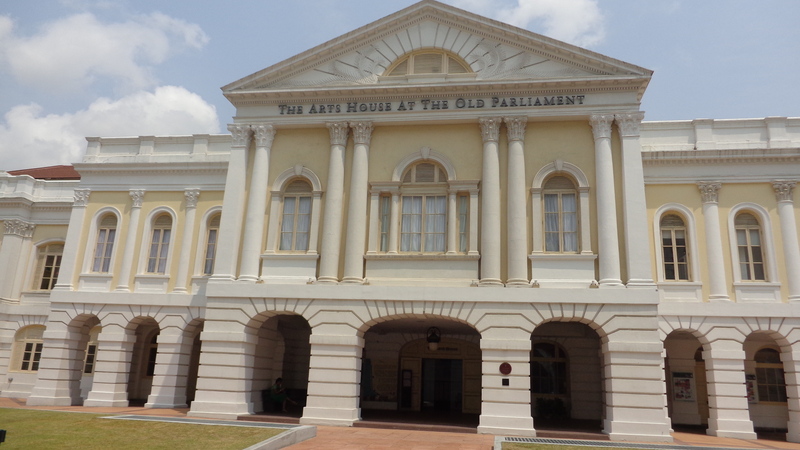 But look below these silver monumental giants and you will find the Singapore of Nellie’s time in graciously restored Victorian government buildings now devoted to art and culture — the Arts House at the Old Parliament Building, Victoria Theatre and Asian Civilisations Museum. Not far away, the Raffles Hotel maintains its original vocation hosting the wealthy and selling over-priced Singapore Slings ($35) to the rest of us. We’re drinking in the Colonial atmosphere as much as the gin-based cocktail invented at Raffles in 1915. The Long Bar retains the original air circulation system – individual palm-leaf fans in a horizontal row moving mechanically back and forth to ease the tropical heat. Nellie was fascinated by these fans. The harbour at Nellie’s time with Johnston Pier (left) illustrated on a postage stamp. 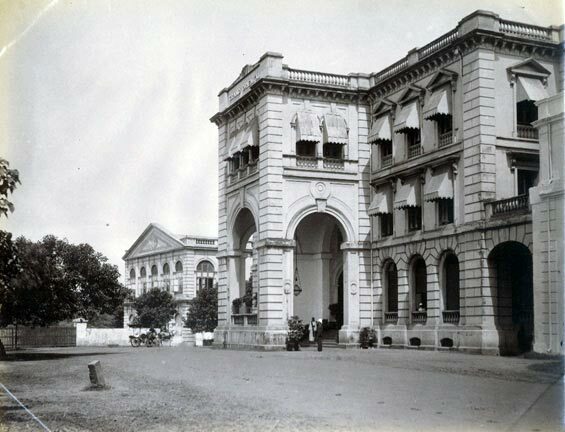 The Fullerton Hotel started life as Singapore’s General Post Office in 1928. 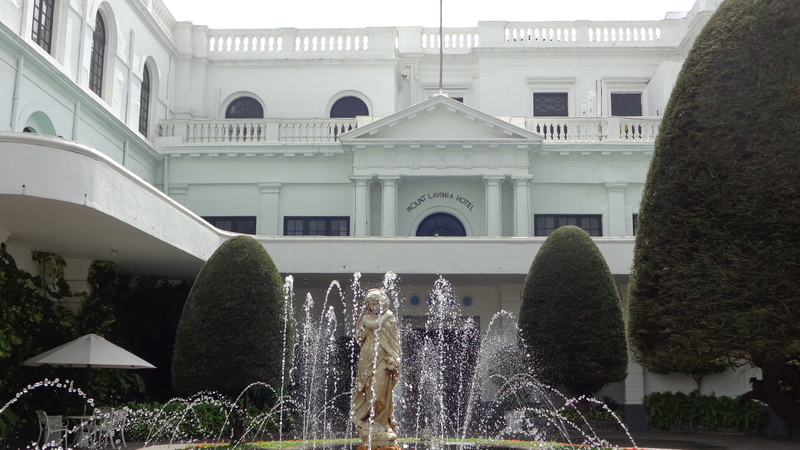 It’s size and grandeur – taking up a full city block –are testimony to the major role of the post in Colonial times. 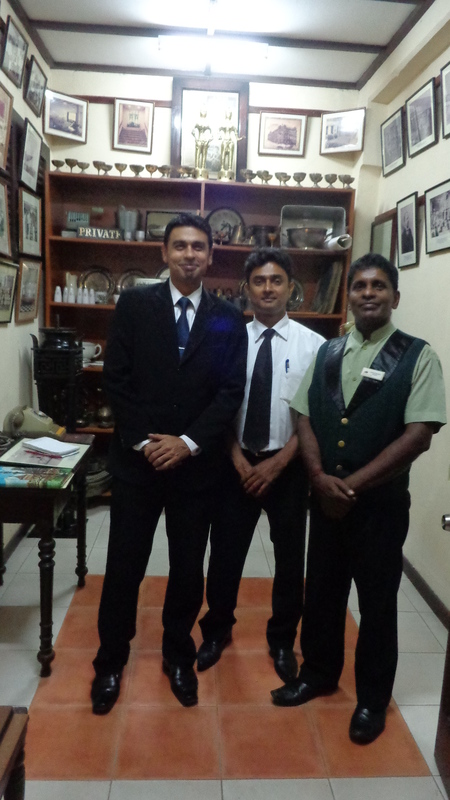 Although not exactly the same era as Nellie, I picked up many clues on a guided tour of the hotel by Florence Minjout arranged by Stephen Wang at the Singapore Visitor’s Centre . Nellie would have disembarked at the former Johnston Pier, long since replaced. She would’ve crossed the Cavenagh Bridge built in 1870 – the oldest existing bridge in Singapore. 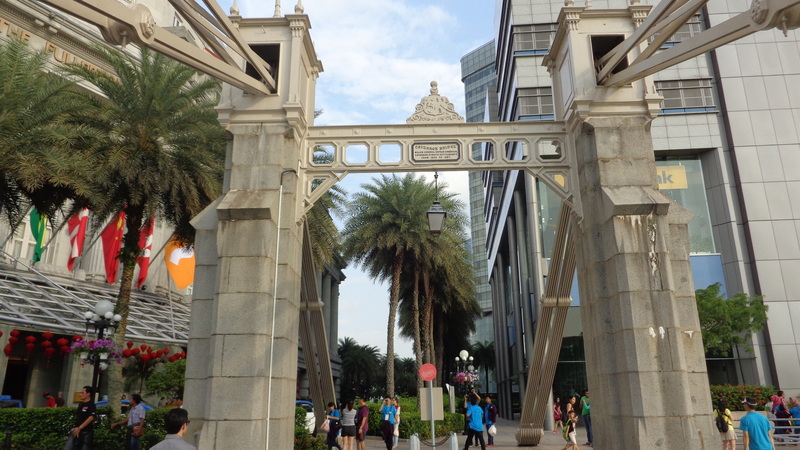 It’s easy to get lost in Victorian times via time-honoured places like Raffles, The Fullerton Hotel and the Arts House. Not so at the former Governor’s House which is totally off limits except for a few times a year when the public is allowed in. 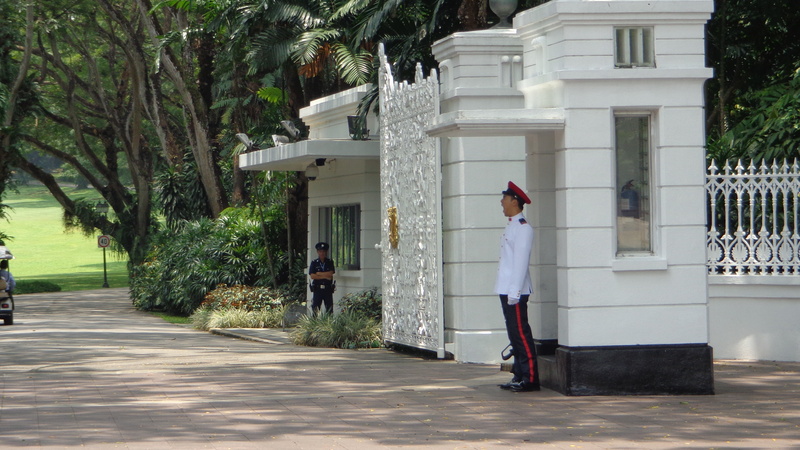 Now called Istana, the current home of Singapore’s President Tony Tan Keng Yam is heavily gated and guarded. You can’t even see it. Nellie was entertained there by the Governor of Singapore. It was built by convict labourers on the site of a nutmeg farm. The original Governor’s Residence sat atop the highest hill in Singapore until the 1850s, a welcome refuge from the heat below. Now called Fort Canning Park, it is also the site of Singapore’s first botanical garden and features a replica of the mast that would’ve guided Nellie’s ship into the harbour. 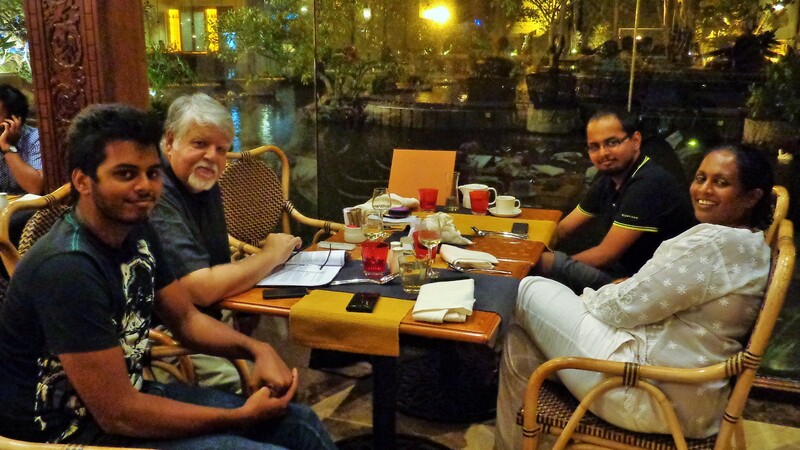 Nellie sailed into a colonial Singapore. I flew into a ‘Disneyfied’ Singapore with its Westernised veneer, harbour light shows bouncing off of soaring steel and glass; and street vendors now corralled into area hawkers centres. All with a slight nod to the past. Fascinating!